Successfully Added ESCAM QF509 Indoor IP Camera – 1/4-Inch CMOS, 1080P, 6 IR LED, 10M Night Vision, ONVIF, WiFi, App Support, PTZ, to your Shopping Cart. Significantly increase your home security levels with this adorable looking indoor IP camera. This security camera features a high-end 2MP 1/4-Inch CMOS sensor. Thanks to this, you’ll be treated to ultra-clear and highly detailed security footage at 1080p Full-HD resolution. It supports a 128GB SD card and furthermore lets you access your camera from afar through desktop and mobile application. The latter of which is compatible with both iOS and Android phone. This ONVIF WiFi camera keeps you updated about your home’s security status at any time of the day no matter where you are. 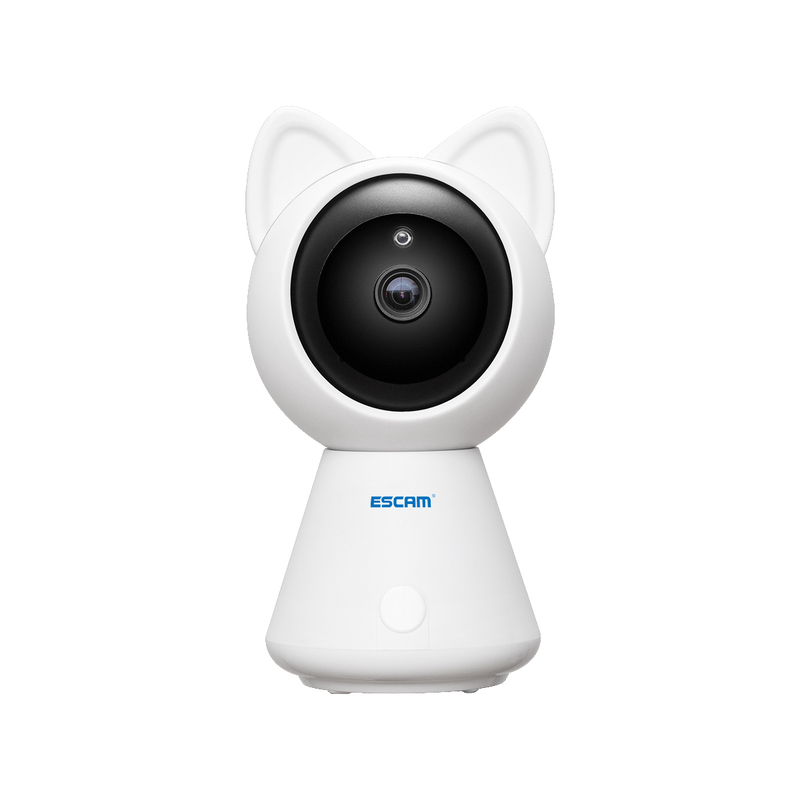 Thanks to its cute design, this indoor IP camera is great to be used as regular security camera or as a nanny cam in your child’s bedroom. With its remote PTZ support, you’ll be able to move your camera and look around in the room. Along with its 62-Degree viewing angle, this IP camera makes sure that no a single movement stays hidden. Your IP camera furthermore supports motion detection and an abundance of alarm features to keep you updated whenever an intruder has been spotted. Thanks to its dual-way audio support, you can record sound and talk to possible intruders from afar. Your camera comes with 6 built-in IR LED lights that support 10M night vision. Therefore you can be guaranteed that your property stays fully protected at both day and night. This security camera comes with a 12 months warranty, brought to you by the leader in electronic devices as well as wholesale IP cameras..